Happy Sweet Treats Thursday bloggies!! 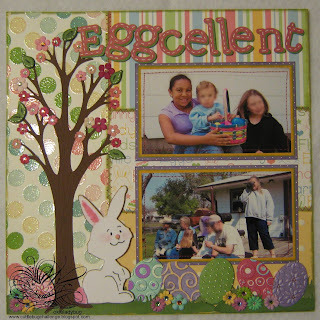 This week's theme at Cuttlebug Challenge is Easter. 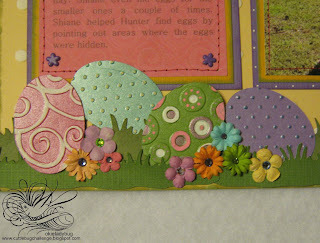 Make sure to bunny hop on over to Cuttlebug Challenge Blog and enter to win the Heritage cartridge!! Also while you are there check out the great projects my fellow design team members have created to give you inspiration! 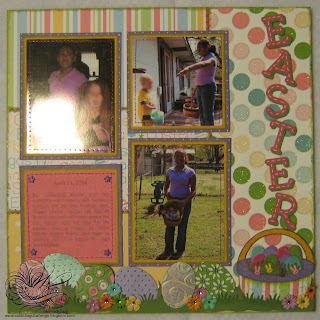 I had some Easter pictures I hadn't scrapbooked yet so I decided to do an EASTER 2 PAGE LAYOUT for my project. The cut file cuts all the embellishments and title for you however you will have to decorate your own eggs! I did some stitching on the title letters. I ran the eggs through the Cuttlebug in various folders and then decorated with gel pens. I added crystals to the flowers for some sparkle. For the bunny I cut it 3 times, with one layer having the hide contour feature being used so I could color where his eyes needed to be. I flocked one layer by running it through my Xyron upside down and then applying white flock. I added glue and used pink flock for his ear. His tail was cut from the last layer and flocked with pink also. For his cheeks I dabbed my finger on a Rouge Cat Eye Chalk Ink pad and patted on his cheeks. 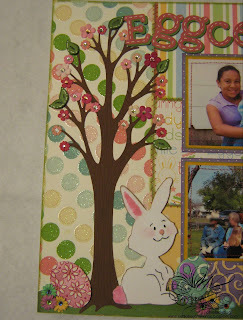 Here you can see more details of the tree, rabbit and eggs. I hope you enjoyed this weeks project as much as I enjoyed putting it all together! Until next time....HAPPY SCRAPPIN! Oh Okie, that turned out fabulous! The eggs are perfect! This is such a great layout!! I just love it! Love the layout! The eggs are spectacular, Okie! 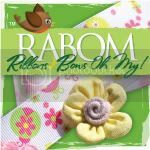 Thank you for so graciously sharing your cut files and being such an inspiration to your fellow crafters! Awesome LO!!! Love all the egg details. Love the LO! The bunny is perfect, and the eggs are gorgeous. I love the eggs what a clever idea.. Thank you so much for this Freebie. I want to let you know that I posted a link to your blog in Creative Busy Hands Cricut Freebies Search List, under the Easter post on Mar. 18, 2010. Thanks again. Absolutely adorable Okie! Love your Easter layout! I love this layout. The detail on the eggs is great. 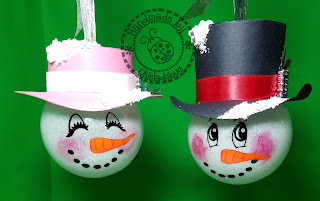 Can you share the technique for how you did these? Thanks so much for sharing. Love this layout. I like the eggs especially. Those are the cutest eggs I think I've seen! 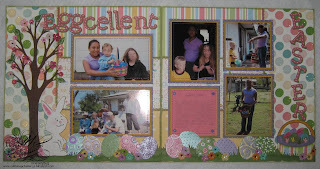 I am going to have to scraplift this idea for the baby's Easter page! I love it! 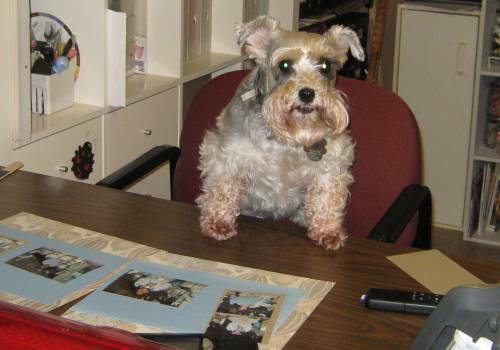 I am in awe of your work. I am a very new beginner to the scrapping world. I follow a couple of blogs (as a matter of fact I found yours through a link on the pink Stamper site ). I don't have you guys creativity or talent but I am a single mother of a 2 yr old little prince and I feel the urge to try and chronicle his life through scrapbooks. I hope that if I continue to follow people like you maybe one day I could look at a stack of blank paper and see what u guys see. but for now I will be borrowing your ideas. I would have sat all day staring at my patterned paper and would never have seen to put those scraps together like you did. its so frustrating to me, but I'm not giving up!